On 31 January 2019 France, Germany and the United Kingdom officially introduced a financial mechanism that aims at enabling European companies to keep doing business with Iran. The new special purpose vehicle, called INSTEX SAS, for Instrument for Supporting Trade Exchanges (INSTEX), is registered in France and has the address of the French Ministry of Economy and Finance in Paris. INSTEX will be financed jointly by the three European countries and run by the German banker Per Fischer. The objective of INSTEX is to promote legitimate trade between Europe and Iran, with an initial focus on the sectors most essential to the Iranian population, such as pharmaceuticals, medical devices as well as agri-food products. 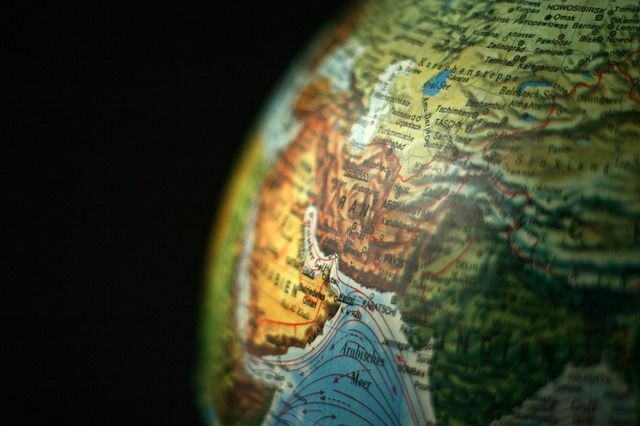 The instrument will thus first concentrate on areas currently not subject to US secondary sanctions, and is therefore widely not seen as a vehicle for circumventing US sanctions, but rather a tool for supporting European trade opportunities in Iran. INSTEX would essentially allow goods to be bartered between European companies and Iranian ones without direct financial transactions or using any US dollars. Through the avoidance of the US financial system and US dollar transactions, companies should be motivated to re-engage in Iranian business activities without violating US sanctions. However, there are no further details on the concrete functioning of the mechanism available so far or on when INSTEX will be fully operational. France, Germany and United Kingdom (E3) are all signatories to the Iran nuclear deal, from which the US withdrew last year. The Europeans, along with Russia and China, who are also signatories, have all vowed to keep to the terms of the agreement, which was intended to ensure that Iran could not build a nuclear weapon. While the European Union will not be directly involved, the EU High Representative for Foreign Affairs, Federica Mogherini, assured that the new entity will be fully supported by the EU. The E3 Foreign Ministers – Jean-Yves Le Drian (France), Heiko Maas (Germany), Jeremy Hunt (United Kingdom) – stressed their commitment to include other interested European companies in the further development of INSTEX. They also ensured that INSTEX will operate to the highest international standards in the compliance with EU and UN sanctions, anti-money laundering and combating the financing of terrorism (AML/CFT). Against this background, the E3 also expect Iran to rapidly implement all elements of its FATF Action Plan, an action plan drawn up between the Financial Action Task Force (FATF) and Iran to address Iran’s systemic deficiencies in its AML/CFT regime. Who will actually use INSTEX? It is expected that the new vehicle will primarily be an instrument for smaller companies with almost no US exposure but will not essentially help the Iranian business activities of MNEs. It seems unlikely that larger companies with significant business in the US will use INSTEX for fear of being targeted by US sanctions. Non-EU parties as users of INSTEX? According to the Joint Statement by the E3 Foreign Ministers, the new vehicle should also be accessible for third country operators in the long term and the E3 will continue to explore how to achieve this goal. There is, however, no further information available on when INSTEX could also be used by non-EU parties. The three founding countries stated that they will now work on the concrete operational details with INSTEX and will also support Iran in establishing an effective corresponding entity for the operation of the new vehicle. The precondition for the further development of the instrument is Iran’s full implementation of the JCPOA. How will the US react? The US State Department said that it is still examining INSTEX. However, in a first statement the State Department issued the warning that “entities that continue to engage in sanctionable activity involving Iran risk severe consequences that could include losing access to the US financial system and the ability to do business with the United States or US companies.” It is expected that the actual use of INSTEX by European companies will primarily depend on the US acceptance or tolerance of the new vehicle. It therefore remains to be seen whether the new vehicle will truly help foster European business activities in Iran. Our EU and US sanctions practice will keep you updated once further details on how INSTEX will be used in practice are available.